Over the recent holidays, we watched the new Hobbit film – The Desolation of Smaug –the second of yet another Peter Jackson Middle-Earth trilogy. It features a brontosaurus-sized dragon named Smaug (pronounced, aptly enough, “smog”), who terrorizes the protagonists with his booming voice and fiery breath for a large part of the movie. Watching Smaug breathe smoke and red flame at the ragtag crew of dwarves and hobbit, we couldn’t help but wonder two things. 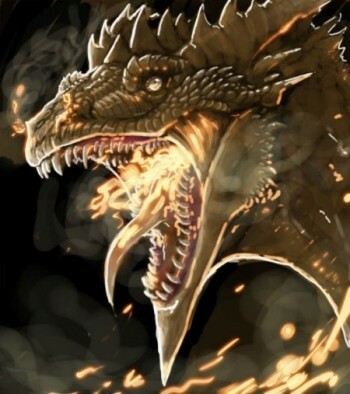 First, how does a dragon create fire in his belly? And second, what would Smaug’s carbon footprint be? On the first question, we defer to those of you who are keener Middle Earth enthusiasts than we. (Please enlighten us at [email protected]). On the second, we thought it might be worth engaging in a little thought experiment, the result of which tells us something about the issue of climate change, and the notion of “pollution” more fundamentally. It’s not as far-fetched as it sounds. The Hobbit series (and before them, the Lord of the Rings) have all been filmed in New Zealand, where sheep outnumber humans seven to one (31 million to 4 million). As such, livestock are the main culprit in terms of global warming pollution – specifically, their flatulence. Sheep, cows, and horses produce a lot of methane in their digestive process, methane that is later released into the atmosphere. Due to the large number of sheep and relatively small number of people, New Zealanders’ per capita methane emissions is five times the global average. This is important because, in terms of global warming potential, methane has an outsized impact. Greenhouse gases include much more than just carbon dioxide. While carbon dioxide is the poster child of global warming pollutants, it is neither alone, nor the most potent pound for pound. Methane is a much more powerful greenhouse gas, with a global warming potential 23 times that of carbon dioxide. This is why some ostensibly carbon-positive investments are riskier than they seem. For example, fracking may be helping to replace dirty coal with cleaner natural gas in power generation, but it could be leading to damaging methane leakage from poorly-capped wells. But back to the dragon. Apart from Smaug’s more obvious social grievances – wealth-hoarding and bullying chief among them – what is his contribution to atmospheric instability? Given the rather extensive scientific literature on sheep flatulence, we decided to work our way up from fluffy sheep to scaly dragon. We are going to make some heroic assumptions here, so bear with us. In New Zealand, a typical sheep is a breed called a “Romney,” which weighs on average 97.5kg (roughly 220 pounds). Further, each sheep emits between 9 and 35 grams of methane per day, depending on diet, time of year, etc., with a median emissions of 22 g / day. This suggests that the average sheep emits about 0.103 grams per pound of body weight per day. But what about Smaug? He’s a bit larger than the average sheep – but how much larger, exactly? The largest living animal on real earth, the blue whale, weighs about 170 tons, or 375,000 pounds. But since Smaug actually flies through the air, maybe a Boeing 747 gives us a better physiological approximation. These enormous aircraft have a dry weight of about 170,000 pounds. That comes out to just about 800 sheep. Multiplying this by the average emissions per sheep gives us a rough estimate of Smaug’s methane emissions per year: about 64 metric tons of methane per year, just to keep him alive. Converting this to CO2-equivalent global warming potential, we come to 1,464 metric tons of CO2. Put a different way, Smaug by himself belches out the equivalent of a little more than 72 average US households each year! Add the impact of his fiery breath and his footprint is probably much larger. (Presumably, Smaug only uses his internal combustion chamber when hunting dwarves and sacking towns – a relatively small proportion of his time, as it interferes with treasure-hoarding). In any event, that’s a lot of greenhouse gas pollution from one animal, albeit a completely fictitious beast of a fantasy world. But perhaps this exercise begs a deeper question: from the perspective of environmental sustainability, what is the relevant measure of “pollution”? Middle Earth could cut its methane emissions by 64 metric tons per year by killing Smaug, but New Zealand is not about to meet its emissions targets by culling all its sheep. And while you can in principle engineer the energy infrastructure to emit little to no C02, you can’t re-engineer a sheep to stop emitting methane (and we hope, sincerely, that nobody tries). This suggests that “pollution” is an equivocal term. All living organisms that do not undergo photosynthesis emit GHGs: carbon dioxide from respiration, methane from digestion. As long as humans wear wool clothing and eat meat, livestock is not going anywhere regardless of global warming. This suggests that the optimal level of methane pollution from livestock and animals, in a sustainable equilibrium sense, is not zero. More fundamentally, the right question is not always, as many environmental enthusiasts pose as default, “how do we reduce emissions to zero?” Rather, the question is one of balance. How to balance real economic needs with the cost to environmental quality? How much social good was generated for every unit of pollution? How much more of that particular sort of pollution can the earth’s buffer systems handle? We speculate that, for Middle Earth, keeping Smaug alive is not a socially optimal choice, for both his methane footprint and his anti-social tendencies. The sheep of New Zealand, however, will (and should) probably continue to graze and emit methane far into the future.